Thinly slice the onion and fennel bulbs. Put both in a medium-sized bowl and add the diced fresh mozzarella and some of the fennel fronds that were set aside. In a separate bowl, combine oil, vinegar, salt and pepper. Add approximately 1 oz. of habanero hot sauce – depending on how hot you like it and mix well. 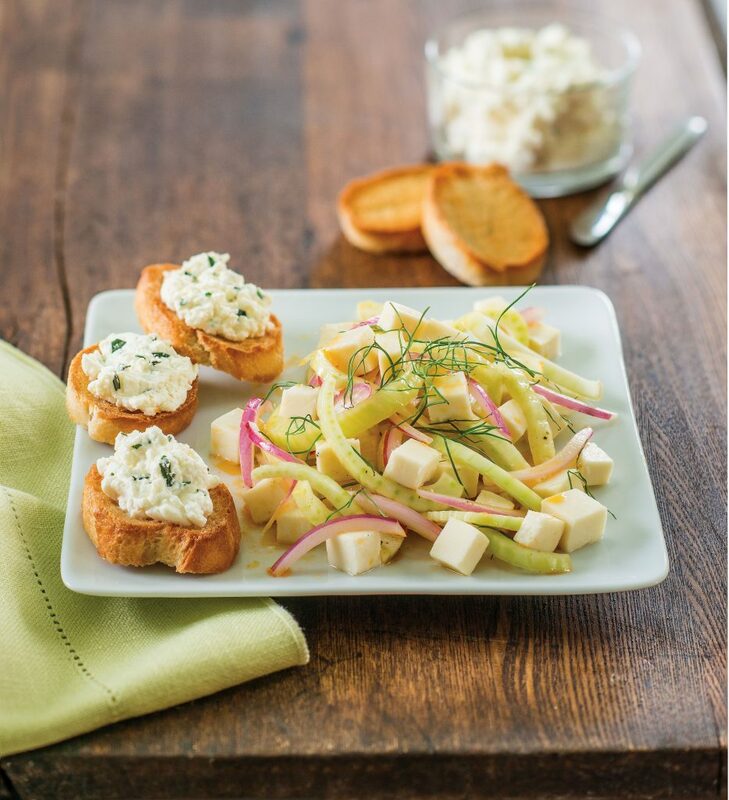 Pour over fennel salad, toss and refrigerate for at least 2 hours or overnight. Layout toast rounds on baking sheet to crisp for 5-7 minutes. Combine ricotta, mint, rosemary, garlic, salt, pepper and whisk together. Once toasts are golden brown, spread ricotta mixture on each piece and serve with salad.